Fun family day with lots of entertainment including face painting, singing and dancing, an array of Christmas gifts for grabs at bargain prices, bake sale, auction, large raffle, visit from Santa and lots more. A very enjoyable day for everyone with unmissable bargains, family entertainment and lots of festive cheer. 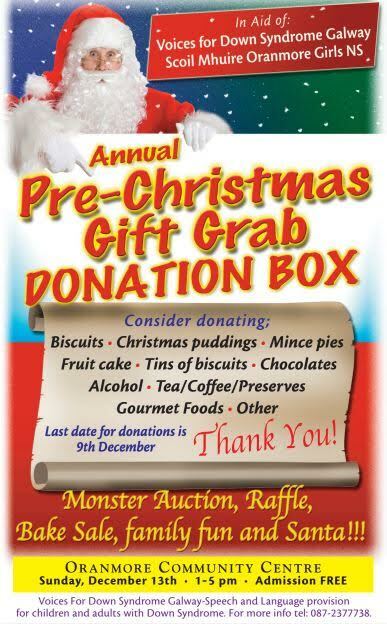 Appeal For Donations….If you would like to support this event by donating any unwanted/unused gifts or gift vouchers that you have in your home, or non-perishable Christmas treats (boxes of chocs, biscuits, gourmet treats, mince pies, Christmas cakes, alcohol, etc) that can be sold on the day and raise funds.